Popularly known as high blood pressure, hypertension is a severe medical condition marked by highly elevated blood pressure. People need to pay closer attention to this problem because it is a risk factor for deadly diseases such as arterial aneurysm, heart failure and strokes. 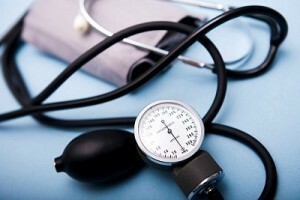 In certain cases, persistent hypertension can even lead to chronic renal failure. Let’s find out more about this chronic health problem including the different hypertension symptoms, diagnosis and treatment options. The symptoms of hypertension vary. In case of accelerated hypertension, major signs include confusion, somnolence and headache. Likewise, patients of this disease also experience vomiting, nausea and visual disturbances, all of which are usually associated with hypertensive encephalopathy. In neonates and infants, the symptoms are different. Most of the time, they suffer from respiratory distress, irritability and seizure. Meanwhile, hypertensive children experience minor symptoms like blurred vision, fatigue and headache. Secondary endocrine diseases like growth hormone excess, hypothyroidism and hyperthyroidism can also cause hypertension. For hyperthyroidism patients, the usual signs include atrial arrhythmia, tachycardia and weight loss. Meanwhile, individuals suffering from growth hormone excess can have hyperpigmentation, prognathism as well as coarsening of facial features. On the other hand, endocrine-related causes can lead to metabolic alkalosis, polyuria and numbness. Additional minor symptoms of hypertension include muscular weakness, profuse perspiration and dizziness. The early and proper detection of this health problem is highly important to patients. To confirm the occurrence of this type of disease, medical personnel will check the complete medical histories of patients. After this quick and simple procedure, they must undergo physical examination for a thorough diagnosis of their medical conditions. 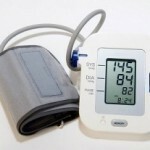 It is also important for medical personnel to measure the blood pressure levels of hypertensive patients. To provide highly accurate measurements, they can use the conventional instrument called sphygmomanometer, which is basically made up of a stethoscope and an aneroid manometer. When treating hypertension, it may take more than just the intake of drugs and other alternative medications. Stress reduction, regular exercise and dietary changes can also help in the process. Antihypertensive drugs are guaranteed to lower the blood pressure. These include diuretics like hydrochlorothiazide, chlortalidone and bendroflumethiazide. Add to that, patients can also try other options including calcium channel blockers like verapamil, diltiazem and amlodipine. 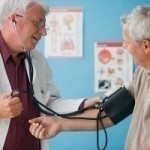 Angiotensin II receptor antagonists can also lower the blood pressure levels of hypertensive patients. ACE inhibitors can also help in lowering blood pressure, particularly ramipril, quinapril and captopril. In case of intolerance to ACE inhibitors, patients can instead take medications such as candesartan, valsartan and losartan. Other possible options include irbesartan and telmisartan.